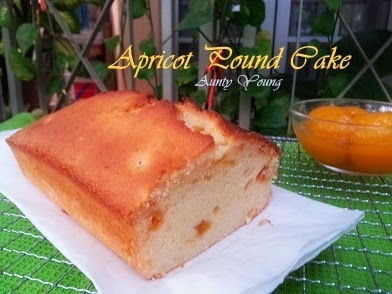 I wanted to use up my can of apricot, so here is an apricot pound cake adapted from Joceline. 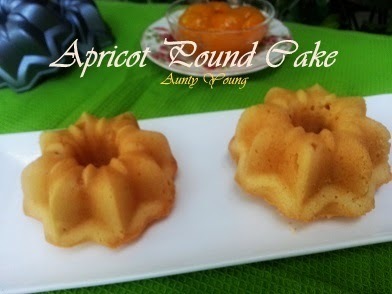 Although I had doubled the recipe, I still have some canned apricot left over. 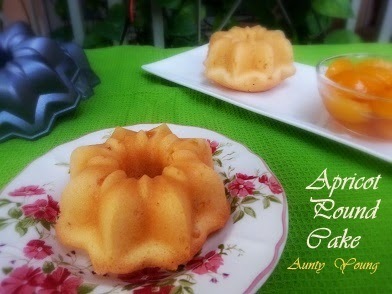 Therefore, I'll probably be sharing more apricot recipes soon. I decided to take a leaf out of her book while also making another bar pound cake. While the cake was baking, its irresistible aroma filled the house that make you feel like you can't wait to eat it as soon as it is done. 1. 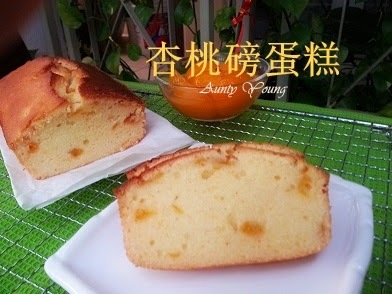 Sift the flour ingredients and cut the dry apricot into pieces. Grease the mould with butter. 2. Cream the softened butter and icing sugar until fluffy. 3. Add in the eggs one at a time. Beat well after each addition. 4. Add in vanilla essence, followed by the sifted flour and baking powder, then mix until well combined. 5. Pour the batter into the greased mould. 6. Bake in a preheated oven at 170°C for 30 minutes or until a skewer inserted comes out clean. Coated the apricot pieces with cake flour to prevent the apricot pieces from sinking down all the way. I got this pair of lovely mini moulds from a nice friend. A friend who, in my eye, is an understanding and capable person. 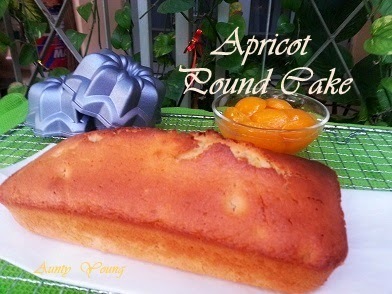 Won't a slice of apricot pound cake for breakfast or tea break be a good idea? 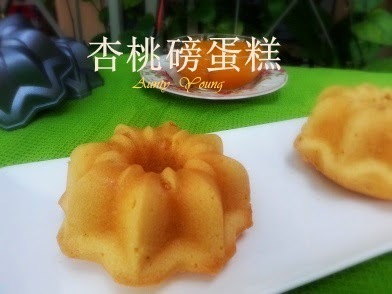 Lovely cake, Aunty Young! And I like the pretty mould.